Last week during my Bible study, a verse jumped out at me. Funny, isn’t it, how you can read a passage countless times and then one day, the words come alive in a new and powerful way? I shared the verse on Instagram and on Facebook. And the words burrowed deep into my heart and mind. 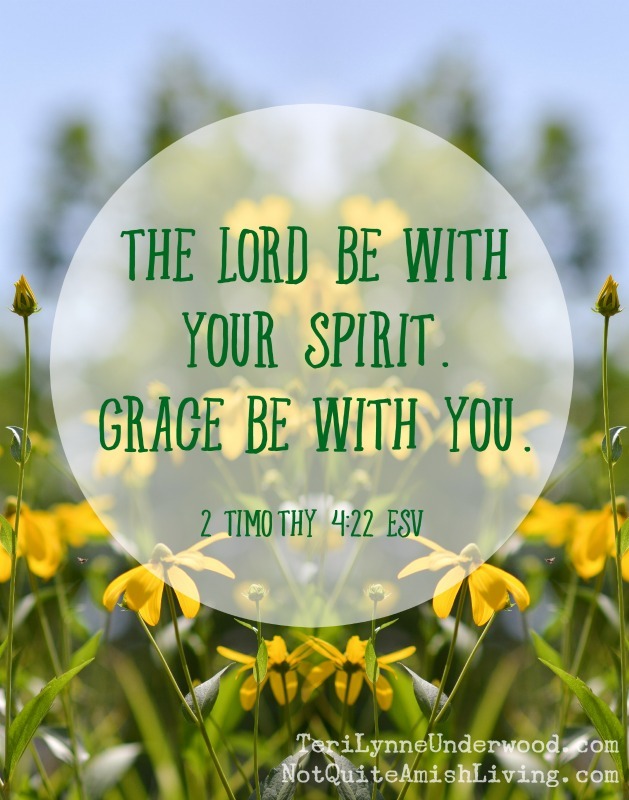 Ten words, written by Paul at the end of his second letter to son in the faith, Timothy. Ten words. A benediction of sorts, a prayer of blessing. 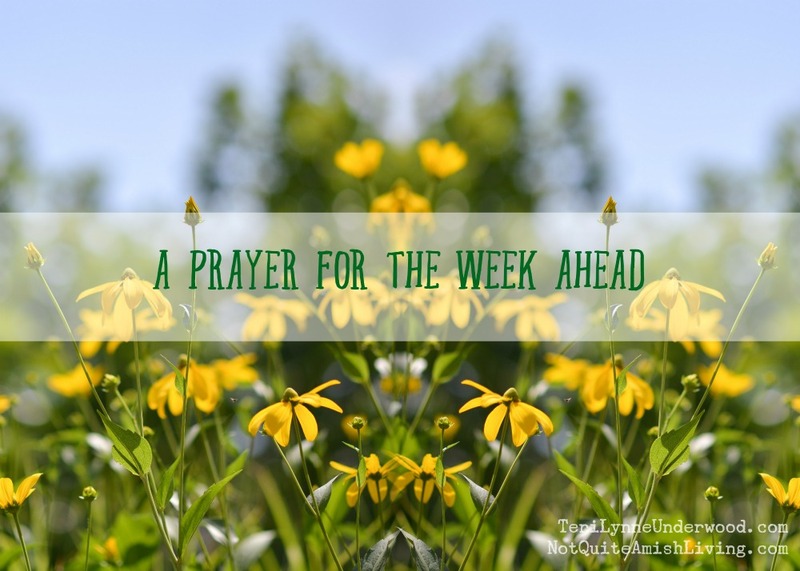 As a new week begins, may I offer these same words to you, uttered in prayer over you? And as you receive, may you also give … praying these same words for those in your life? What verse has jumped out at you lately? Teri Lynne is a word loving, idea slinging, encourager of rest, focus, and embracing life's seasons. Her priorities include good coffee, excellent books, and lingering conversations. She is the author of Parenting from the Overflow and Prayers from the Pews: The Power of Praying for Your Church and the co-author of Self-Publish: Moving from Idea to Product. Teri Lynne and her worship leading husband live with their growing-up-way-too-fast teenage daughter and their ever pitiful basset hound in North Alabama where she finds time to write in between the car line and rotating laundry.